When you’re standing in place – a wet place – for long stretches, you need the ultimate in comfort and functionality. 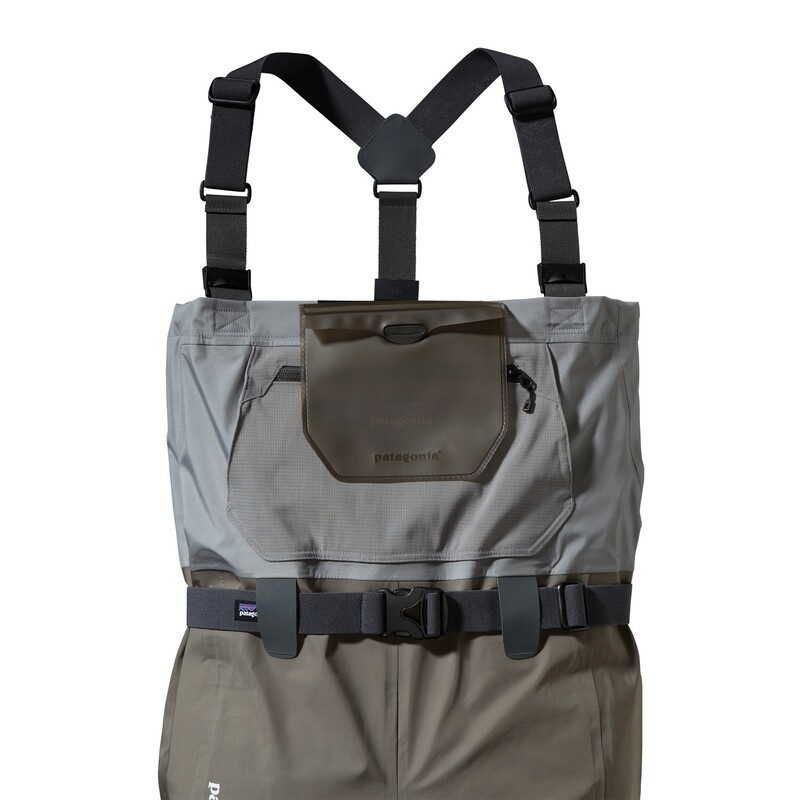 Anglers would be hard-pressed to do better than Patagonia’s Skeena River Waders, with waterproof/breathable H2No® barrier fabric and extras like chest hand-warmer pockets. Whether you’re casting for hours in boreal river pools or scrambling in and out of drift boats or sit-on-top kayaks, the fact is that most wader failure is caused by abrasion along inner leg seams. The solution for wader longevity? Move the seams out of the high-wear zone to the back outside of each leg. The Skeena River Waders feature SSC (single-seam construction) for enhanced durability and freedom of movement. Of course, the waders are named for the Skeena River, which begins high on the Spasizi Plateau in northwestern BC and flows almost 600km to the Pacific. The fast, cold waters harbour up to 5 million spawning steelhead salmon each year – one of the biggest runs on earth. These lightweight fly fishing waders are built from varying weights of tough, 4-layer polyester microfiber with Patagonia’s proprietary waterproof/breathable H2No® barrier and NanoSphere® DWR (durable water repellent) finish. They’re also loaded with fishing-friendly features: waist-mounted EZ-Lock suspenders easily convert from chest to waist height and provide quick relief without having to remove your jacket; internal, welded TPU-waterproof pocket keeps camera or phone dry; additional upper storage pockets and 100% nylon utility keeper secure essential tools. The custom-fit left and right booties are made from 3mm neoprene with abrasion-resistant soles. Field repair kit included. The Skeena waders with interior pouch pulled out. 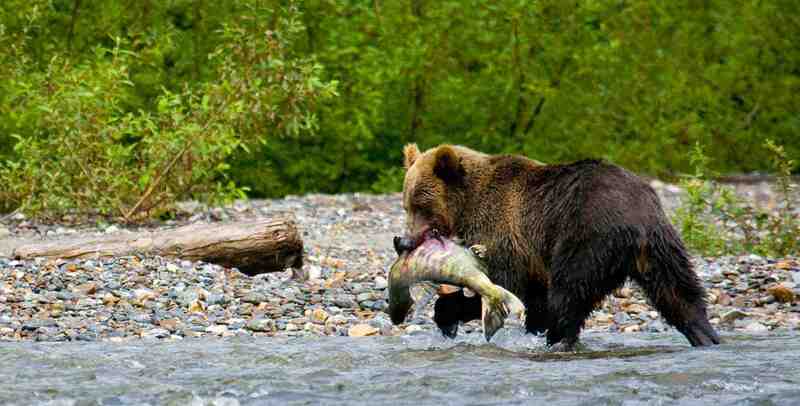 Check Patagonia’s line of fly fishing gear and clothing here. And check out Patagonia’s Toronto Store.